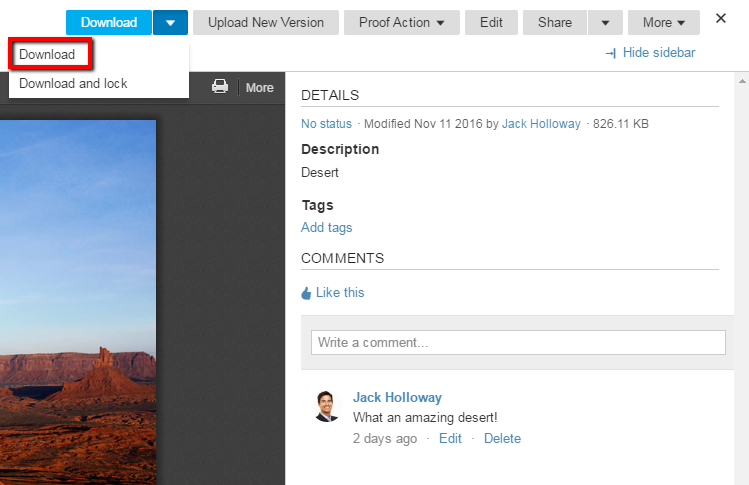 Any file that has been uploaded into a workspace can be downloaded by workspace members that have the download permission. In the Files & Discussions tab, you can download a file from the folder list as well as the file detail page. To download a file in the folder list view, click on the right arrow that appears to the right of the file name and click download. If you're using Chrome, you can also download files from the folder by dragging and dropping them to your desktop. To download a file via drag and drop, click on the file name, hold down your cursor, move the file out of the browser, and release the cursor. 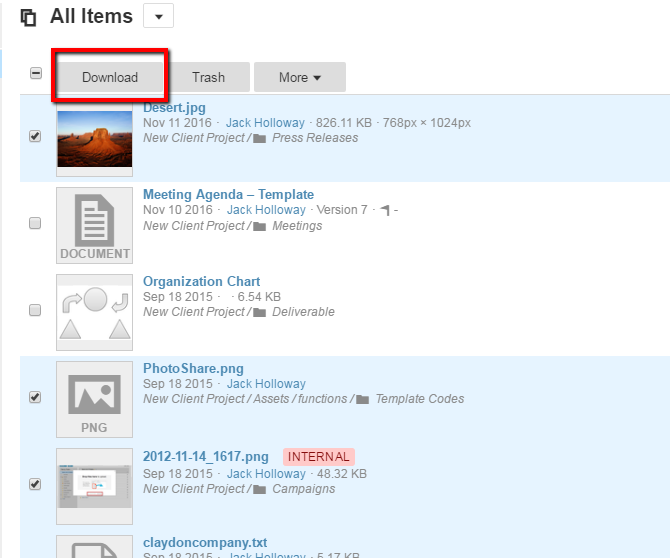 To download a file from the file detail page, click on Download or the arrow to the right for the download drop-down menu. In the drop-down menu, you will see two options. The option to Download simply downloads the file, while the option to Download and lock document allows you to download and lock the file for modifications. To download multiple files at once, check the boxes to the left of the files and select download icon from the top. Note: Online documents and discussions cannot be downloaded using this method.